The Shinn Ranch project’s tentative map time extension is on the Board of Supervisors agenda for July 19, 2016 at 2:00 pm. Many circumstances have changed since the original map was approved in 2007, and the surrounding community is asking for the map extension to be denied. See detailed explanation below. The proposed project includes 141 single-family houses on 167 acres, which will add approximately 1,400 car trips to Mother Lode Drive daily. accurate statements of significant legal violations that were not addressed by the Planning Commission at the hearing. In addition to the legal violations not addressed previously, the following are additional facts which must be addressed regarding this time extension, approval of which indicates that these concerns should have been considered when the tentative development was approved in 2007. The approval of Measure E reinforces Measure Y, which should therefore have been applied and still applies to this project. There is no water supply, fire hydrants, nor any egress on the narrow roads leading to the existing 38 homes/56 parcels on Kingvale Road, Concept Mountain Rd, Kingvale Court, and Wildcrest Road south of the planned development. 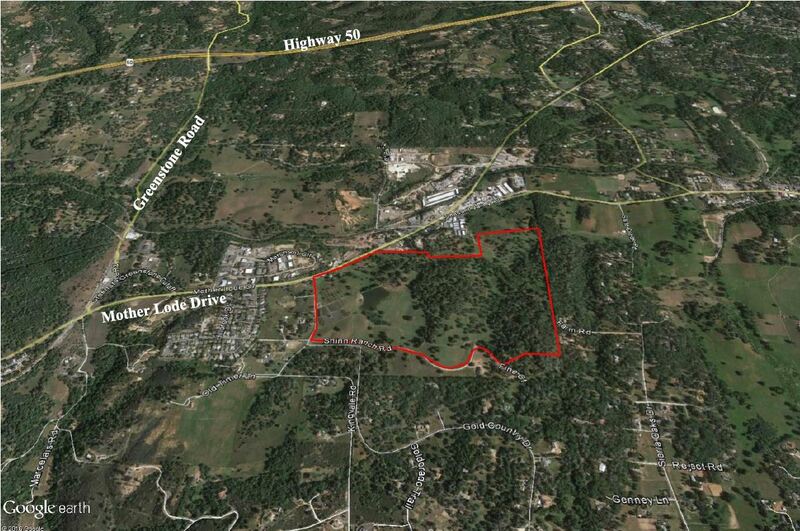 This tentative development and the planned new homes increases the chances of a fire occurring. With the current plans using Kingvale road, this causes a huge bottleneck for all residents relying on Kingvale road as their only exit. The project should have mitigated the reality of fire for all the residents beyond the project on Kingvale road which have no way of protecting themselves from this hazard. The planners chose to use their only exit. The local Native Miwok tribal Communities submitted the following comments to county planning: “We have serious concerns of possible burial sites that may exist and are purposely obscured. The tentative map does provide for ” … in the event of human remains are encountered … ” which would be considered inadvertent discovery. This is very different from original knowledge of same prior to any discovery during construction. This is not acceptable and disrespectful to cultural ancestors and the disturbance of any remains. There are not typically any markers with Indian burial sites, but, the area would be considered sacred and should be preserved as sanctuary. More time is needed to research and respond to this issue. The secondary problem is that excavation of these burial grounds will reintroduce Valley Fever and other ratified diseases to the surrounding community. This is a health and safety issue for the community. Apparently there is no study or plan to contain this disease once it is airborne. In 2007 when this tentative map was approved, notification was made in the newspaper, but a limited number of adjacent property owners were notified. At that time, notification was required if property was within 500 feet of the planned development. Currently, the requirement is one mile. Some residents claim they did not receive these notifications. We’re they sent certified? Tom Shinn owned 3 of the properties affected at that time, maybe more. A full background would need to be done in order to verify. Many residents do not subscribe to the Mountain Democrat. Word of mouth is not an appropriate vehicle for notification. • Second dwellings not to exceed 1200 sq ft.
Changes to these restrictions requires written consent of all adjoining property owners bordering a Shinn Ranch Road property. The 5 and 10 acre parcel owners on Shinn Ranch Road have concerns over how the tentative development is in opposition to these restrictions, especially the home square footage restriction. There are also similar deed restrictions for all properties north of old timer lane to Mother Lode. This development does not fit within the existing CC & R’s. Nor does it fit within the existing neighborhood. Access is already difficult and dangerous at Shinn Ranch Road, Kingvale and on an already dangerous thoroughfare, Mother Lode Drive, especially when the sun glare is brightest turning west on Mother Lode off Kingvale in the late afternoon. Several have been injured or killed at Kingvale and Mother Lode Drive. Follow up with CHP for data as it appears this was also not taken into consideration. The proposed deceleration and turn lanes added as part of this project won’t handle the added traffic. Mother Lode is a narrow two lane road. Apparently planning failed to study the impact to the existing residents already using Kingvale road. This development only makes this intersection more dangerous for the existing communities. This development should NEVER have access to Kingvale road due to the added risk, traffic and inconvenience to the existing residents who only have one way into their homes. It is also a private, maintained road by the residents of Gold Country, whom bare. the full cost of road maintenance. 7. County to pay for infrastructure? Since the County has constructed an Animal Shelter at another location since the approval of this project, all references to the County reimbursing the developer, such as “The applicant and El Dorado County shall enter into a reimbursement agreement in the event that this development occurs prior to El Dorado County construction of the roads for the Animal Shelter,” should be removed. The County should not be responsible for providing the infrastructure for this project. Much of the drainage mitigation is to be determined after approval of the project, which is a violation of CEQA. It should have been required of the applicant to show that adequate drainage is possible with the amount of homes being proposed to ensure that the neighboring properties will not be impacted by future drainage issues. Noise, light and air pollution, crime. Destroys rural atmosphere we all enjoy.